On this day in history (December 3rd, 1989) the leaders of the United States and the Soviet Union officially declared the end of the Cold War. The pronouncement at the Malta summit brought a near half century of proxy wars and geopolitical tension to an end. 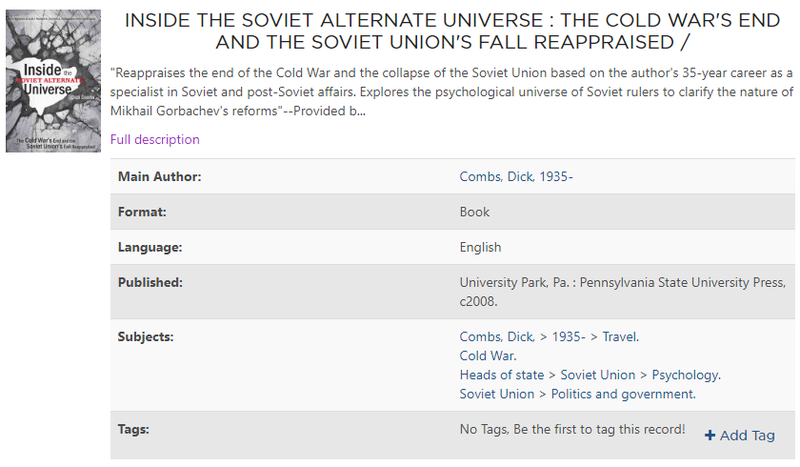 The words of Soviet General Secretary, Mikhail Gorbachev, succinctly describe the gravity of that day; “The world is leaving one epoch and entering another.” If you would like to learn more about the Cold War, Falvey Memorial Library has many resources for your consideration.